I'll be updating here throughout the weekend with hours read, books read, etc. I'll also be on Twitter and Instagram with the hashtag #24in48. My 10:45pm update last night was just a bunch of hopeful lies; I did not read for one more hour, or even one more minute. I crawled into my bed and fell immediately to sleep. So my final stand for #24in48 is just shy of 20 hours, just over 1,500 pages. How did everyone else do? Did you hit 24 hours? Did you read awesome books? Tell me everything! We had an unexpected out-of-town guest here this afternoon and evening that ate into my reading time, so I've no hope of reaching 24 hours. That said, I'm still thrilled with this weekend's progress: I feel like I got a serious handle on upcoming review deadlines, and read some awesome books to boot. Now to crawl into bed after maybe one too many glasses of wine with some more pages of A Man Called Ove (which I adore thus far), which should ultimately round me out at about 20 hours of reading and ~1600 pages. Today is looking far more like my typical readathon days than yesterday: my plans keep shifting and changing (first lunch plans, now a (very welcome!) but somewhat unexpected houseguest in this afternoon and possibly overnight), so I know I won't hit 24 full hours of reading. I still haven't started a Man Called Ove (though I'm heading to the balcony to do just that in a few minutes! ), but I did squeeze in three hours of The Winter People on audio today between chores and driving around. It's perfectly paced and just the slightest bit creepy--exactly how I like my suspense. I had this crazy plan to go to bed at 11 last night and read just a few more pages to hit 13 hours... an hour later, I'd finished Summer Sisters with slits for eyes. Which means that between sleeping in, dog walks, and breakfast (coffee! ), I'm just getting started today. Despite how well yesterday went for me, I doubt I'll hit 24 hours in total--I have lunch plans today and expect I'll run out of steam before midnight tonight. But here goes nothing. First up today: A Man Called Ove. 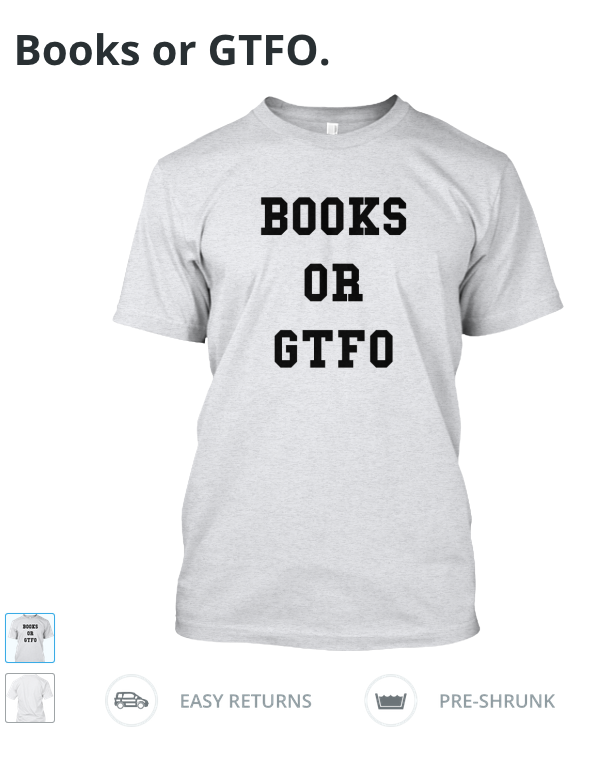 I don't have much to add besides this: what could be better than reading all day? How did everyone else's first day go? What's the best book you read? Sometimes readathons don't work out for me as well as I want them to--I get easily distracted, or sucked into social media (which I love!) or end up with social engagements. But the stars have aligned today and I just hit 10 hours of reading. Not bad for not waking up until 8am. I'm on an absolute roll with Chuck Wendig's Zeroes, which is fast-paced and proving perfect for 'thon reading, if a wee bit long (432 pages). 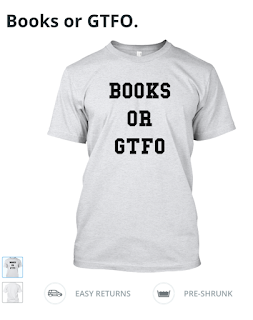 PS: Liberty has re-opened the sale of her "Books or GTFO" t-shirt for reading enthusiasts... they're only $16 including shipping, and they. are. awesome. Order here. I gave Waiting for Havana another honest effort--an hour and change of reading time--but it's just not working for me. The subject is interesting, but I find the writing style redundant and too full of teases of stories to come... 176 pages in, please, just tell your story already. Anyway, it's a book club pick, so I may revisit it later in the 'thon so I can more actively participate in the discussion, but for now: switching to Zeroes! Phew. Finished my first (very long) book of the weekend: The Automobile Club of Egypt. Which was great. And did I mention very long? 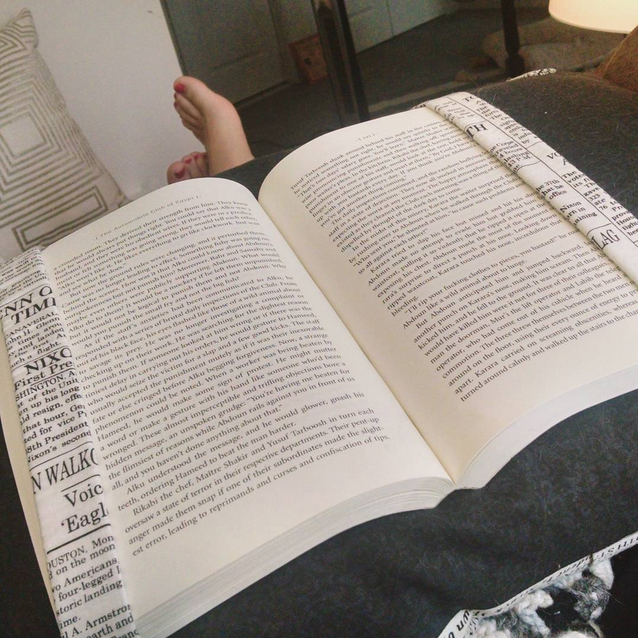 And also the pages kept falling out, so I turned to my trusty reading/book pillow. I'm taking a quick break to grab some lunch and then will be diving back into the books. 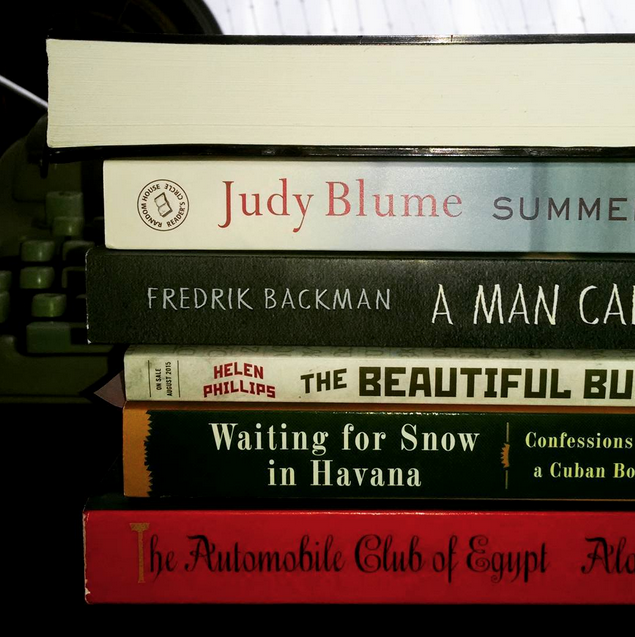 Up next: either Waiting for Snow in Havana or A Man Called Ove, I think. I had all the best intentions around waking up early and diving right in this morning, but alas, I drank too much wine last night and slept until 8:00. After a quick walk with the dog, I poured myself an iced coffee and got to reading around 8:30, powering through 150 pages of The Automobile Club of Egypt (which I'm really liking). 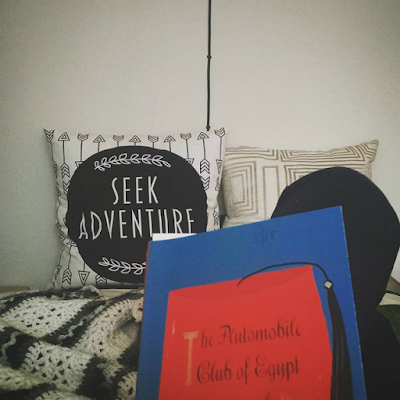 Took a break at 10:45 for more coffee and a proper breakfast, and now I will return to my reading nook paradise and Egypt. Who am I kidding? I pre-drafted this post to go live at midnight, and I am 100% asleep at this point. Crossing my fingers for an early rise time tomorrow to get going ASAP. Ha! I totally didn't make it to midnight either. Kudos to you for pre-drafting!